If your pre-orientation outfit runs climbing trips, there’s a whole other list of gear to stock up on in the rental shop. So, we’re here to make that job a piece of cake, with suggestions for the best shoes, harnesses, helmets, and other technical equipment for every leader, trip, and skill level. For: The highly aggressive (climbing trip) leader. For: All around use in the rental shop. Why you need it: A favorite over the years for its comfort, durability, and performance, the Flash is a great all around climbing shoe at an affordable price. They aren’t as aggressive as some shoes either, so they’re a great shoe for early climbers renting from the shop. Another perk: they don’t have liners, reducing odor. 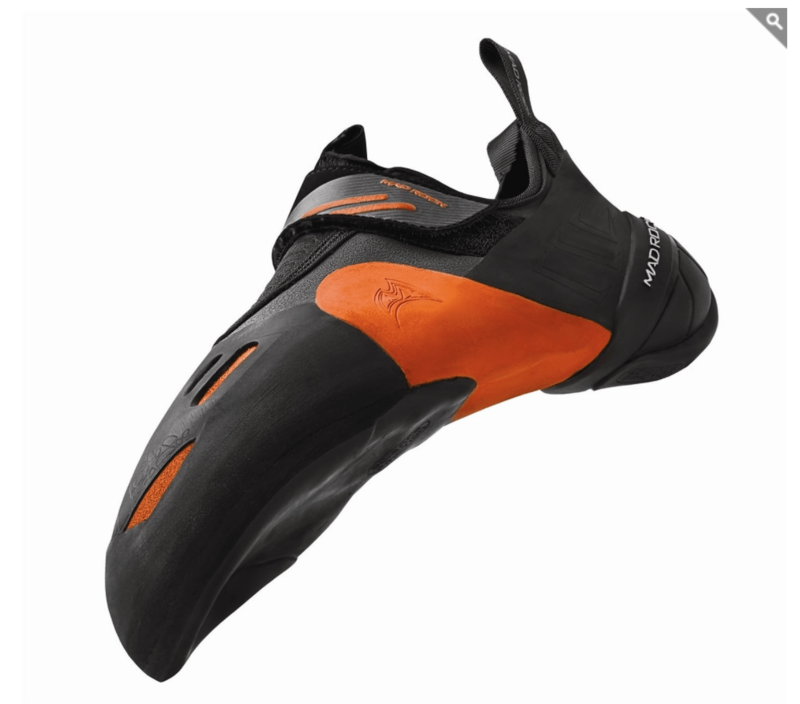 To sum it up: A great, reliable, basic shoe for anyone to use, from bouldering to sport routes to multipitch. 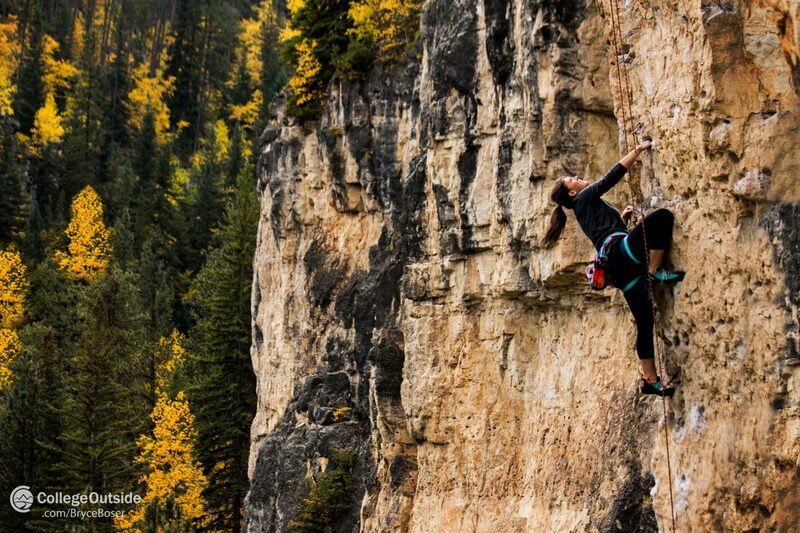 For: The comfort seeking, all-around women climbers on your trip. Why you need it: This comfortable, no-hassle women’s harness makes it one of Black Diamond’s most popular all-rounder. With a plush waistband and easy adjustments, the Primrose is perfect for any rad ladies taking on a climbing pre-orientation trip, leaders and participants alike. Reviews rave about it’s reliability and, again, comfort, which I would full heartedly have to agree with as this is the harness of my choice. To sum it up: The Primrose is the perfect all-around women’s harness to have in the rental shop. For: The sending it leader. 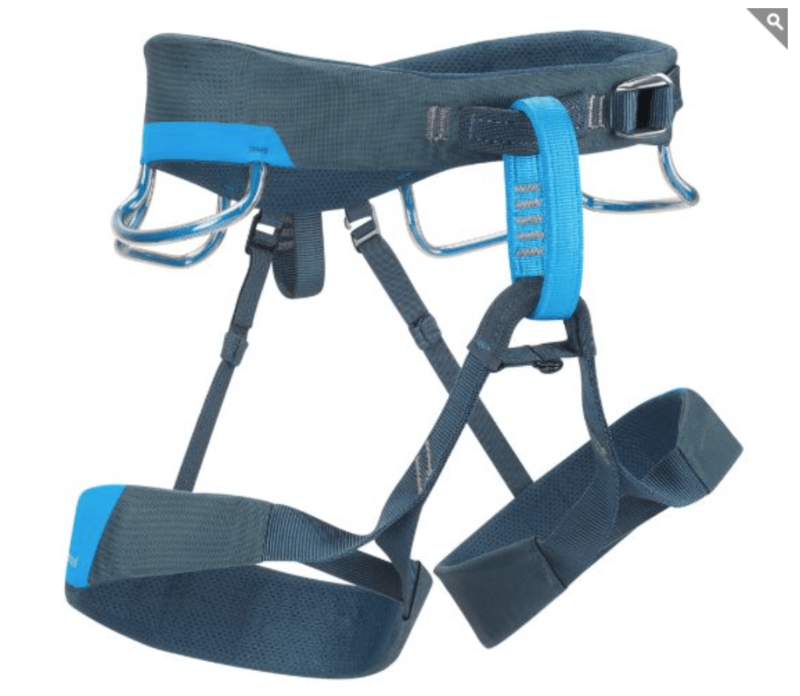 Why you need it: OutdoorGearLab’s list of The Best Climbing Harness for Men puts the Chaos at number two for its comfort, light weight, and good gear loops for sport climbing. The harness is on the more expensive side, but it’s worth it for go-getter leaders since it’s a highly durable, premium trad climbing harness that’s built for long routes, cragging session, multi-pitch free climbs, and serious abuse. To sum it up: A go-hard-or-go-home harness for a go-hard-or-go-home leader. Why you need it: A very affordable option, these harness are great to rent out to any dudes ready to hit the walls with a lot of gusto. Rated number three on OutdoorGearLab’s list of The Best Climbing Harness for Men, the Corax fits well, is versatile, and is comfortable. The harness only comes in two sizes, the smallest of which can fit most women, making this versatile not only in the type of climbing it’s used for, but who it’s used for as well. To sum it up: Super reliable and affordable harness that will keep renters happy and safe up on the wall. For: The happy-medium, adventurous climber. Why you need it: This helmet is voted the number one best all around helmet by The Adventure Junkies. The Vector is an affordable, sturdy middle ground between the heavy but cheap and beefy half-dome helmets and the light but expensive and fragile vapor helmets, making it accessible and safe for everyone. It’s well ventilated, comfortable, and easy to adjust. 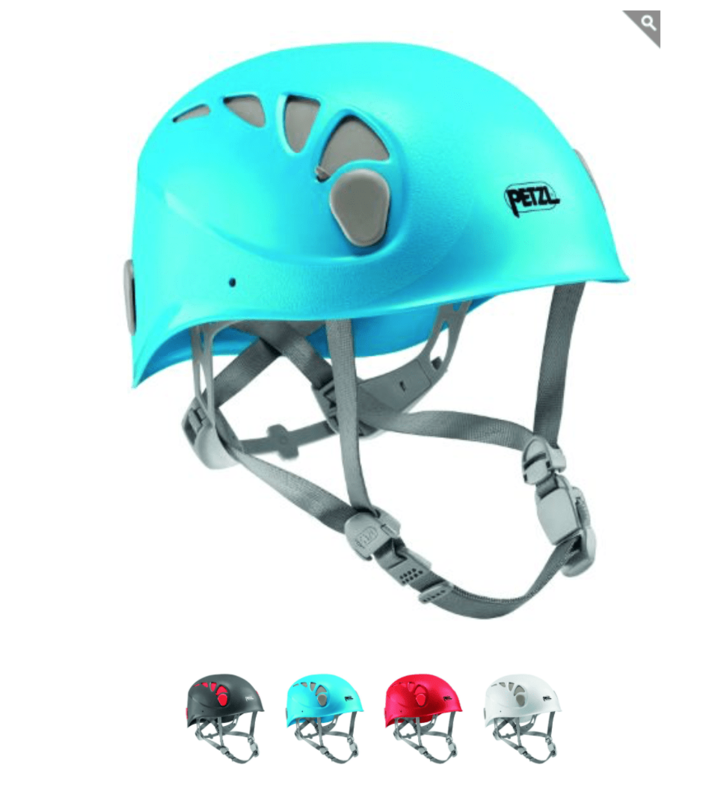 To sum it up: Outfit all of your more experienced climbing group with this helmet to insure their safety and comfort with this meet-in-the-middle design. For: Taking a beating in your rental shop. Why you need it: In the same Adventure Junkies review of the Top 9 Best Climbing Helmets of 2017, the Elios was voted one of the best value climbing helmets. Designed for climbing, mountaineering, caving, via ferrata, canyoning, and anything else you can throw at it, this helmet is the perfect jack-of-all-trades for your rental shop. The Elios is also extremely durable so it can withstand constant use and abuse, and adjusts well to any head shape. Plus, it keeps everyone safe with its ABS shell and polystyrene foam liner. And great protection is what it’s all about with a helmet. To sum it up: Very cheap, very durable, and very reliable, the Elios is a must-buy for climbing rental shop needs. For a pre-orientation climbing trip, you’ll also need other gear: belay and rappel devices, carabiners, crash pads, chalk/chalk bags, cords and slings, rope bags/tarps, ropes, quickdraws. 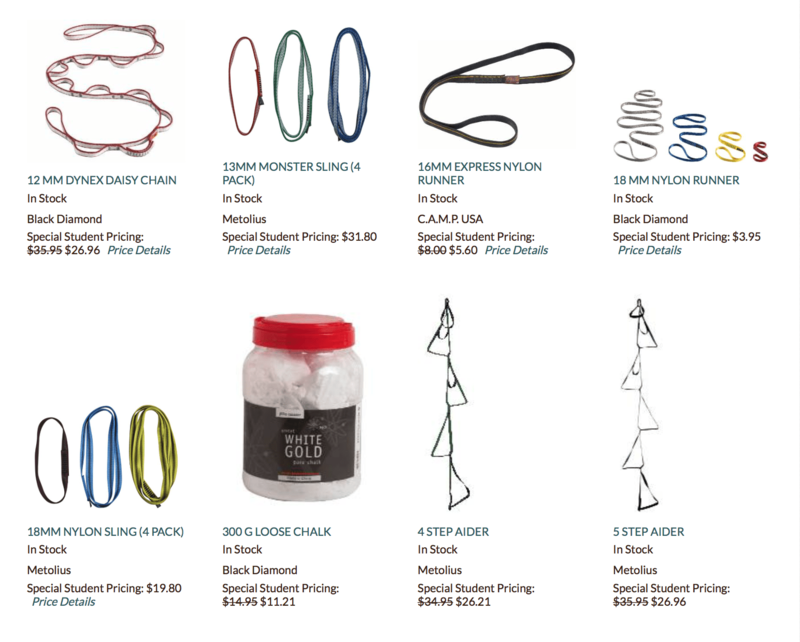 All this technical equipment can be found at https://shop.collegeoutside.com/bus/climb-c114.aspx, with descriptions accompanying each item of gear to tell you what best fits your trip needs.